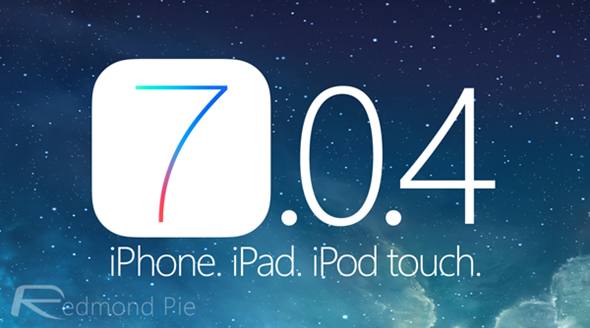 Apple has just made available iOS 7.0.4 download links for compatible iPhone, iPad and iPod touch devices. Apple’s new iOS 7 mobile operating system seems to have gone down well so far with users, and after a couple of minor updates amending a couple of early teething issues and security holes, the Cupertino has today delivered yet another update. You can catch the full change log, as well as the download details, right after the break. 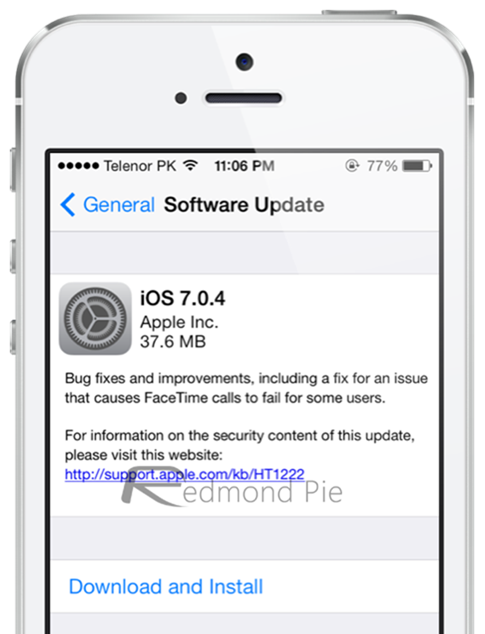 After the release of iOS 7.0.3 some weeks ago, a follow-up was widely expected in the form of iOS 7.0.4 or 7.1. As per usual, there’s a dose of bug fixes, performance enhancements, and general housekeeping updates. Thus, if you’ve been experiencing any issues with your device, it’s highly recommended you go ahead and update immediately. Of course, even if you’ve not encountered any problems, it’s always best to run the latest version, since even if the aforementioned changes aren’t exactly overwhelming, the most recent release tends almost always to be the least susceptible to bugs. In fact, the only instance in which we would recommend holding off this release for now is for the purpose of a jailbreak — at least until we get some kind of clarification from an experienced hacker or developer. We already know that every version up to iOS 7.0.3 has been safe to update to for those holding out hope of a future untethered jailbreak, and so before you go ahead and push to iOS 7.0.4, just wait for the follow-up post that will confirm either way. Each iOS 7-compliant device can be updated to iOS 7.0.4. This ranges from the iPad 2 and up, iPhone 4 and newer, as well as the fifth-generation iPod touch. Update x1: Apple has also released iOS 6.1.5 for iPod touch 4th-gen with fix for FaceTime issue.